Basshunter is a Swedish singer-songwriter, record producer, and DJ. He is best known for his number one hits “Boten Anna”, “Vi sitter i Ventrilo och spelar DotA”, “Now You’re Gone” and “All I Ever Wanted”. Basshunter has so far released a total of six albums, two of which have been released in the United Kingdom. His UK single, “Saturday”, was released in July 2010. Basshunter’s third studio album, Bass Generation, was released on 28 September 2009, the lead single being “Every Morning.” The second single, “I Promised Myself”, was released on 30 November 2009. 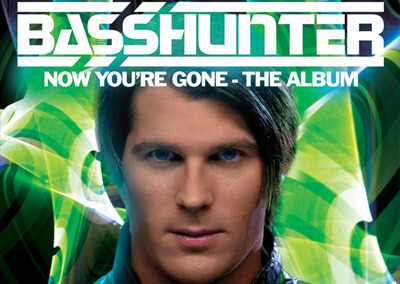 Basshunter’s debut album, was released on 1 September 2006 through Warner Music. A Christmas/International edition was released on 22 December 2006, with the same Swedish songs from the original album, but with English translated names, in a slightly different track order, and with bonus tracks, including the never-before-released “Jingle Bells”. 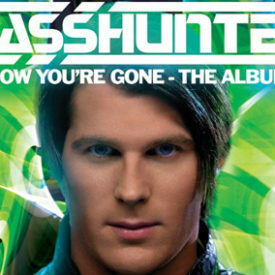 Basshunter’s second studio album, Now You’re Gone – The Album, was released on 14 July 2008. The album features English remakes of older Basshunter hits, and entered the UK Albums Chart at number one. As well, the album has sold an excess 300,000 copies in the U.K., making it certified Platinum. In New Zealand, the album peaked at number one in its fifth week, and was certified Gold after six weeks, selling over 7,500 copies. The album was then certified Platinum after 10 weeks, selling over 15,000 copies. The album spent a total of two weeks at number one. His third studio album, Bass Generation, was released on 28 September 2009. On 4 January 2010, Basshunter entered British Channel 4’s seventh series of Celebrity Big Brother as a housemate and finished in fourth place in the Finalé on 29 January 2010. On 14 May 2010, it was announced that the first single from Basshunter’s forthcoming fourth studio album, titled “Saturday,” would have a worldwide premier live on BBC Radio 1 with Scott Mills that same night. The track was co-written by Thomas Troelsen, Engelina, and Cutfather, and produced by Troelsen and Cutfather. The melody of the song is based on Reel 2 Real’s “I Like to Move It.” Basshunter performed “Saturday” on 4 July 2010 as part of T4 on the Beach, as well as performing it on Big Brother’s Little Brother on 3 July 2010. On 1 March 2014, Basshunter performed his newest single “Elinor,” a song in Swedish, during his appearance at The New Ice House in McAllen, TX.